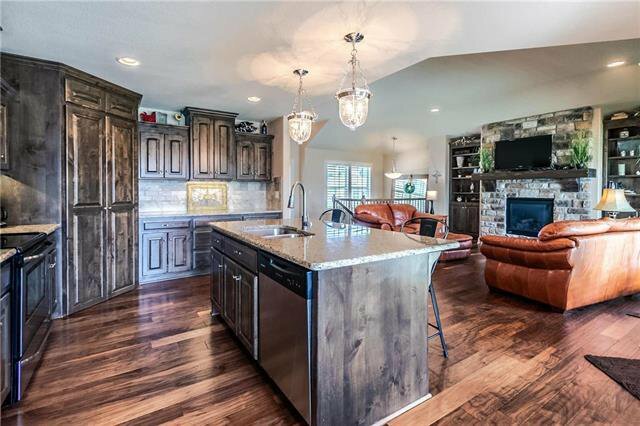 This beautiful custom plan is fabulous! 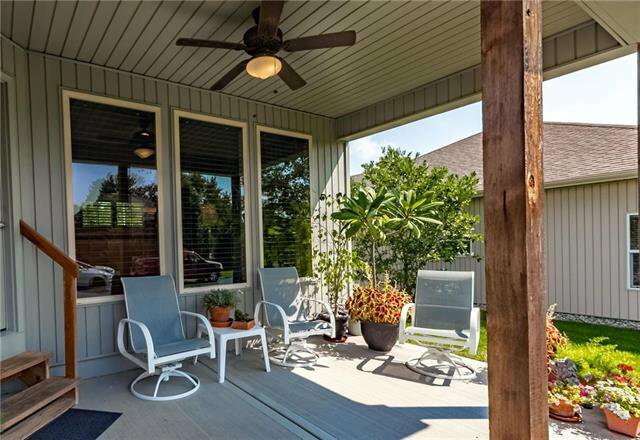 55+ community offers low maintenance living and walking trails. 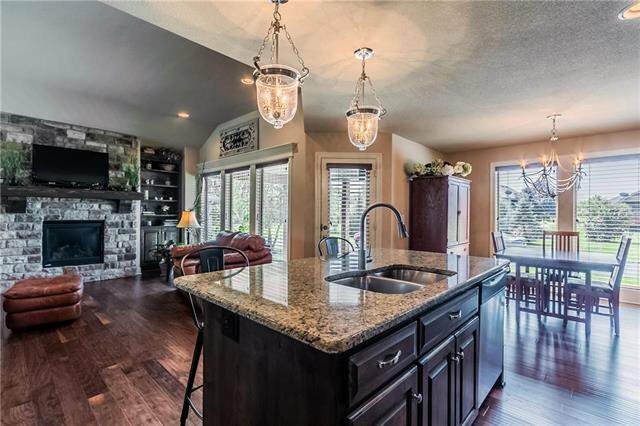 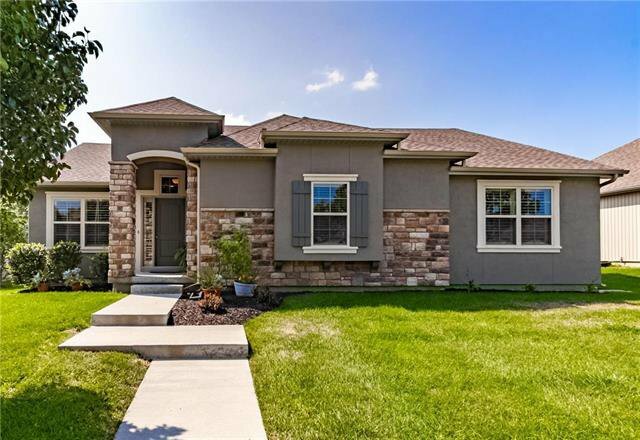 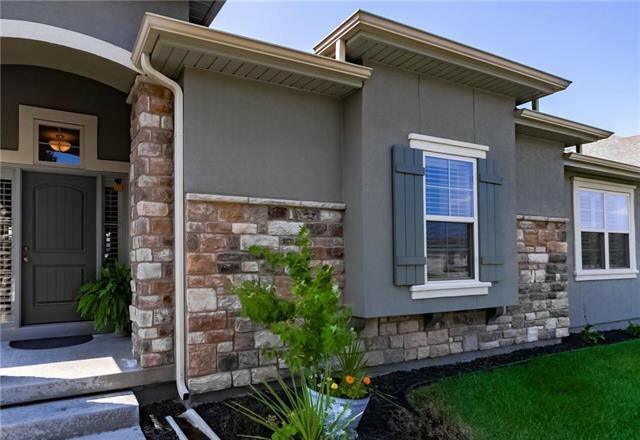 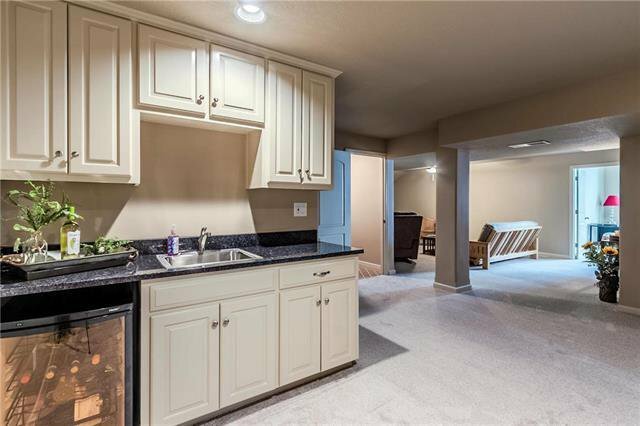 Open spacious kitchen w/center island, granite, custom cabinets, walk in pantry & hardwood floors. 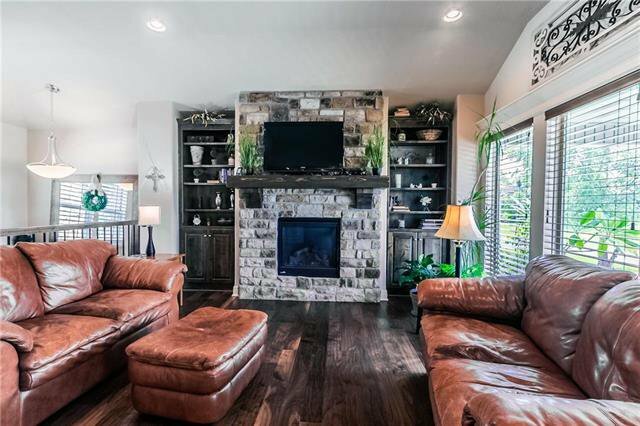 Great room w/custom mantled gas log FP, BI book cases & flr to ceiling windows! 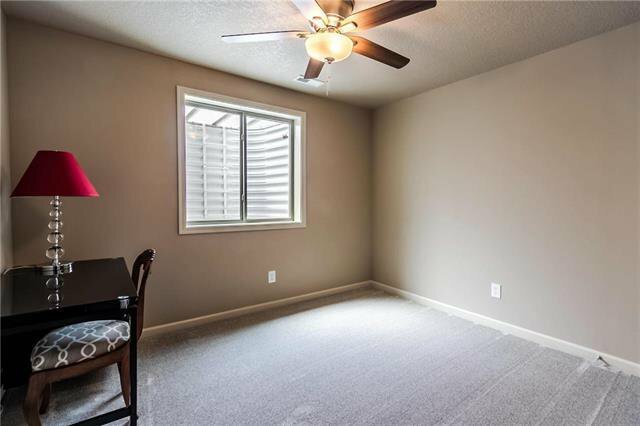 Custom shutters/blinds throughout home.Covered patio. 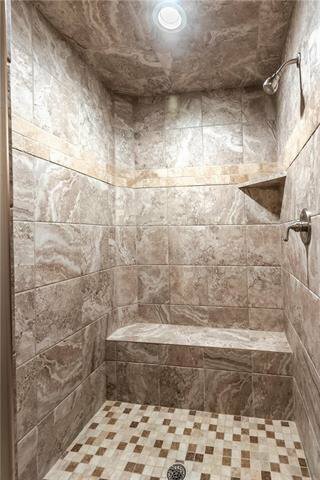 Master walk in closet, tiled bath w/tiled shower! 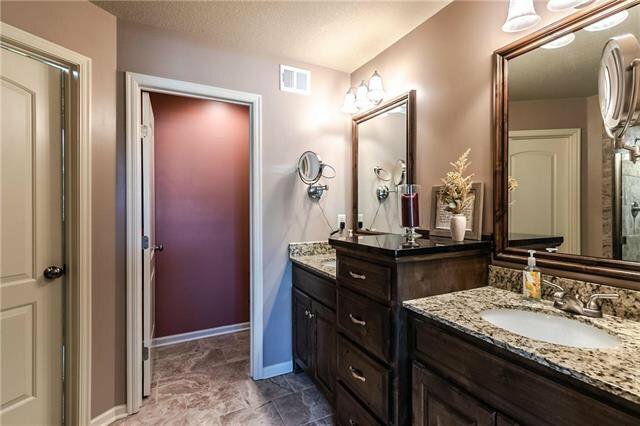 Granite double vanities! 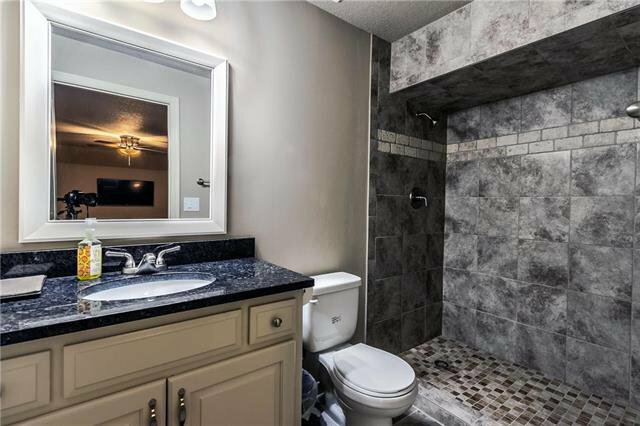 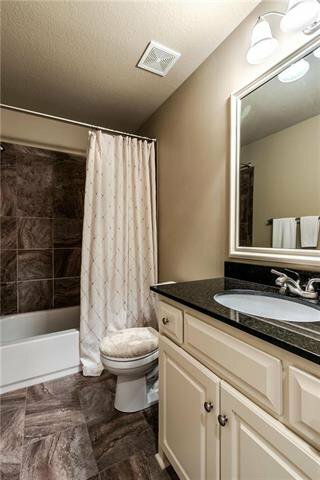 All baths are tiled w/granite tops! 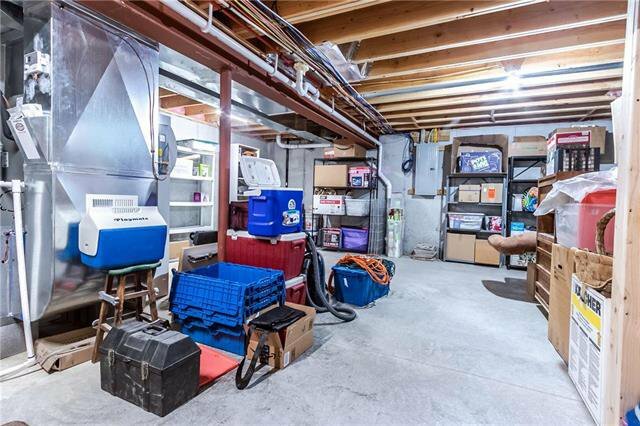 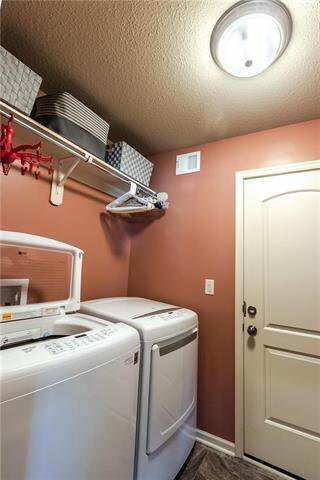 Love the rear entry garage! 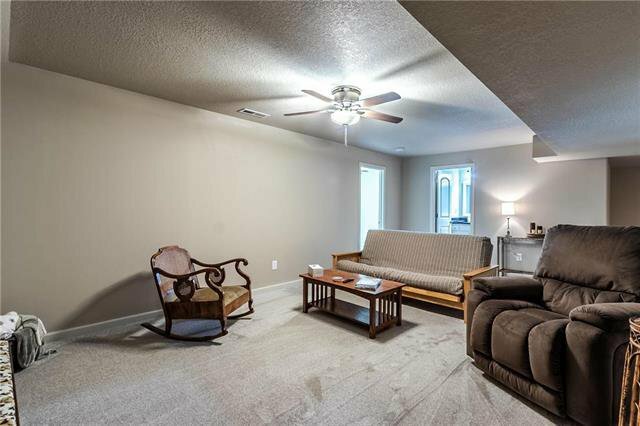 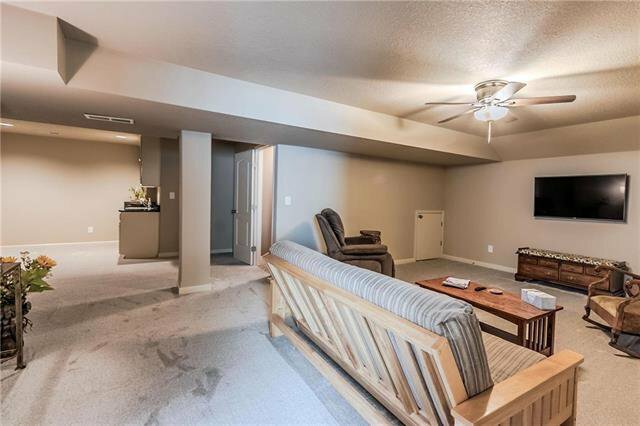 Impressive 2nd Living area with wet bar. 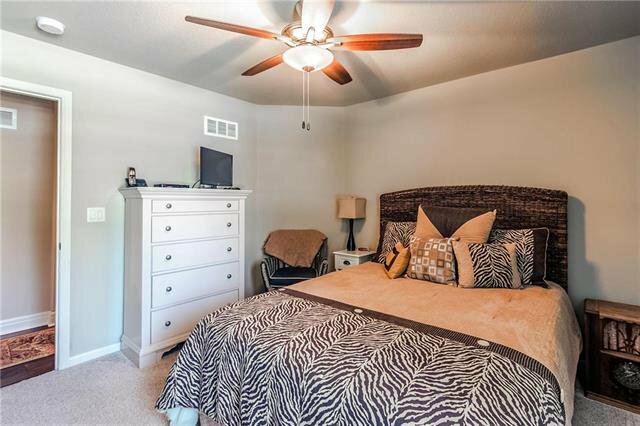 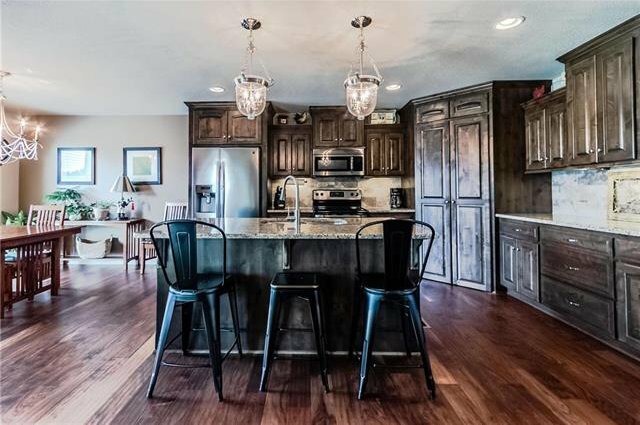 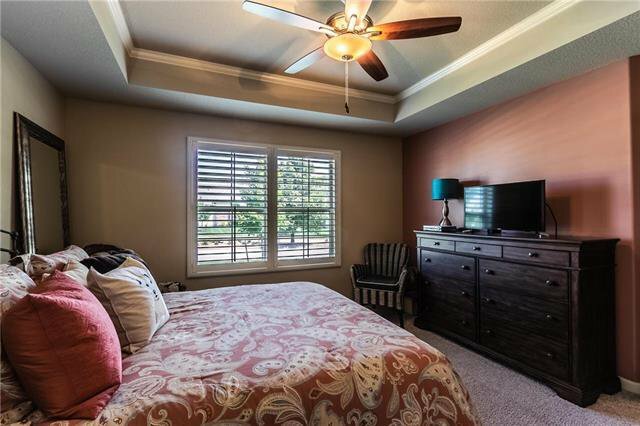 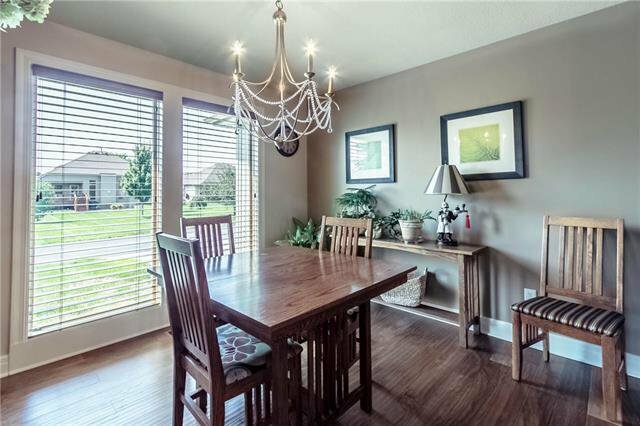 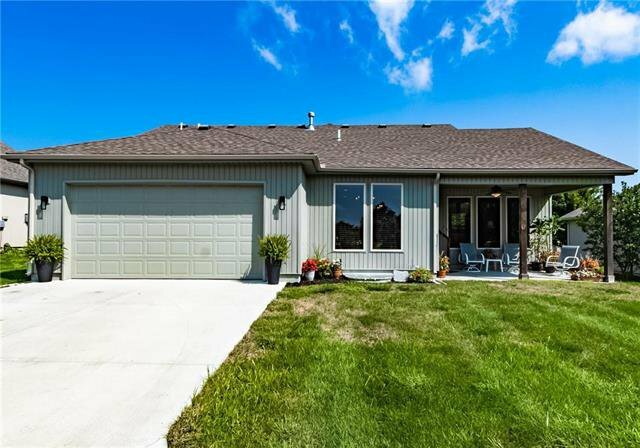 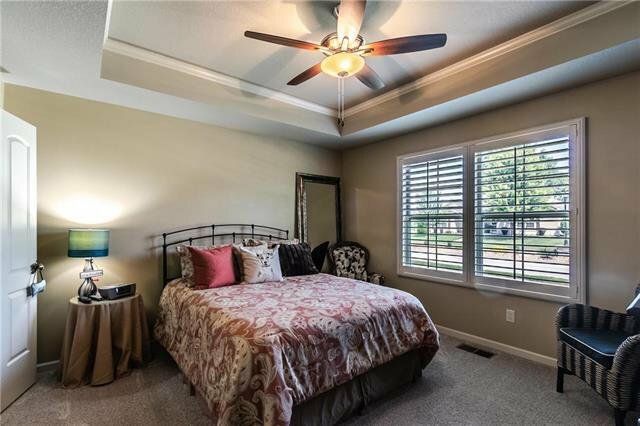 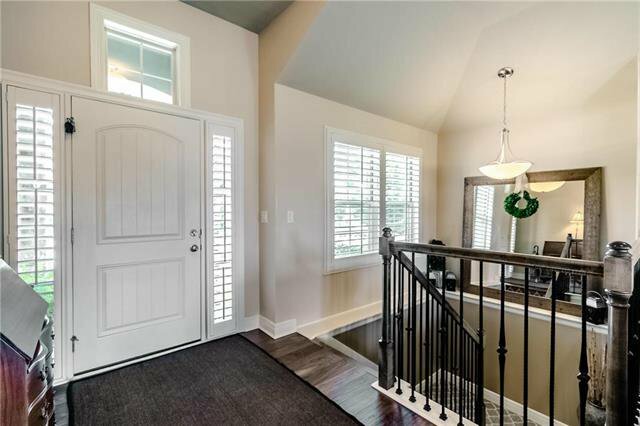 Listing courtesy of Eddie Davis of United Real Estate Kansas City.